This is to be the last track day for 2004 (at the time of writing); I don't have any more planned and honestly don't think the weather will be up to another one. 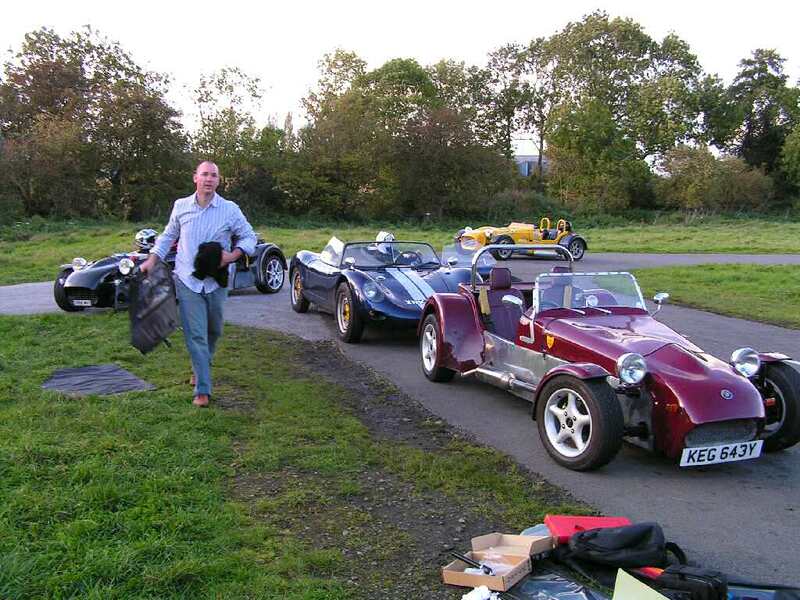 I had arranged to meet up with Geoff Mason and the R6S and provide a route guide for him to get to Curborough, as he had never been there before. With this in mind I set out and drove straight to his house, once there we had a short wait for his second driver to arrive and then we could set off down some very twisty country roads. Unfortunately I had a slight problem as the rocker cover gasket started seeping oil directly onto the exhaust headers. Fortunately this was fixed fairly quickly and we were back on the road, only getting held up around the infamous A5 road works. These road works I am sure have been there since I started going to the track days at Curborough (back in 2002) so at the current speed I expect them to be finished by 2100 provided they don't overrun! Once there we had to wait a while as the local regulations prevent us from running before 10AM, however we soon set into the regular pattern of practice runs, and then some timed runs. However I did have the video camera mount on the car and managed to produce some good shots, which can be seen on the video gallery. page of the site. Because of the file size it is probably not worth downloading unless you have a broadband connection, however I can put them on a CD for a small fee! The day wasn't without its problems, mainly being my driving. For my first run I managed a clean drive and posted a good time. On the second I did a nice power slide (well I was told it looked good from outside), which cost me a couple of seconds. Finally on the third I managed to fluff two gear changes as well which cost more time than the spin did! 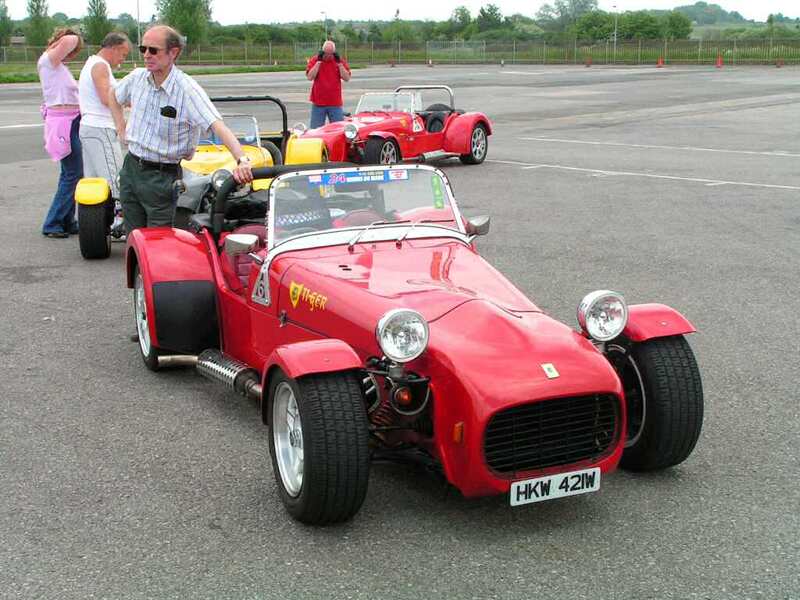 Other cars of note was that despite first appearances even removing the windscreen couldn't allow Stewart Fenton to match Geoff Mason's times, although the gap is quite small with only 0.5s between them at their best. Another surprise was Niall Turner arriving with his dad. 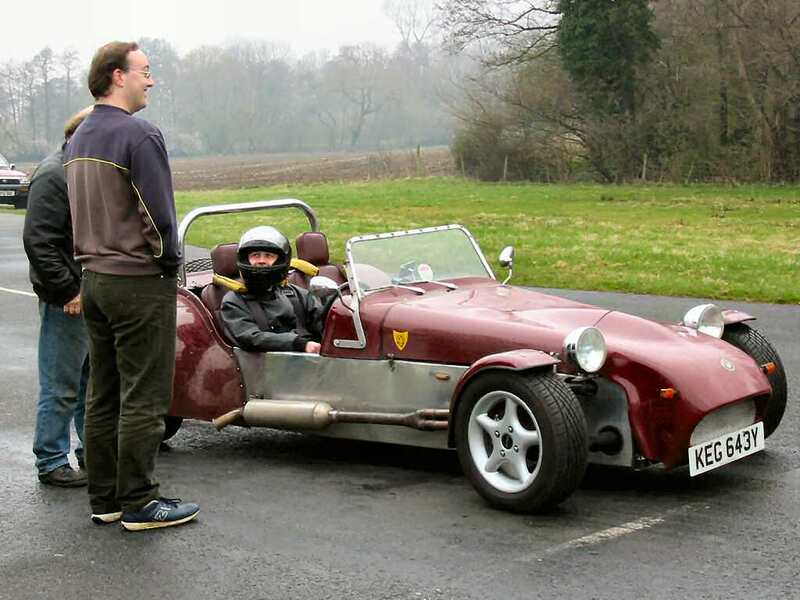 Not that two people from the same family are unusual, but the fact that he arrived in a RSK Spyder replica certainly added to the interest on the day. Although it wasn't as fast as the Tigers it certainly made up some interest in the day. 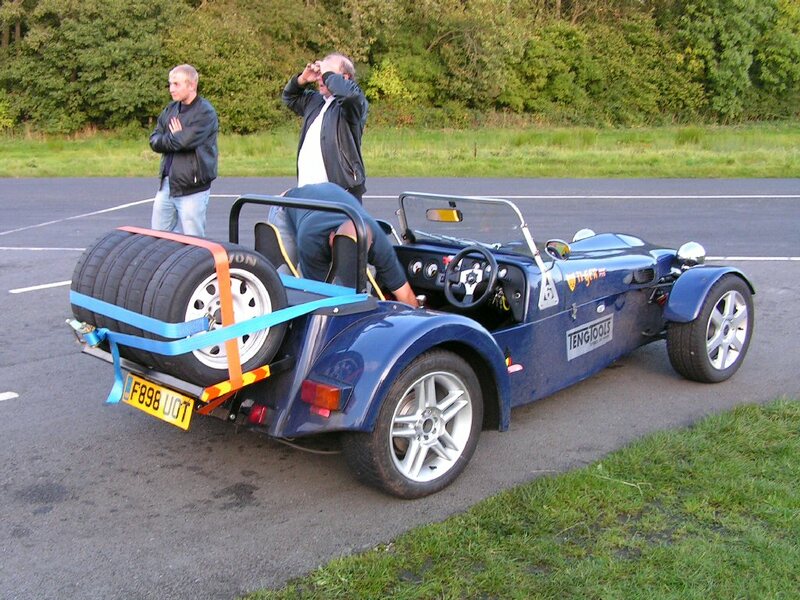 I do have to mention this though, how would you transport a set of track only tyres to Curborough without a support vehicle. 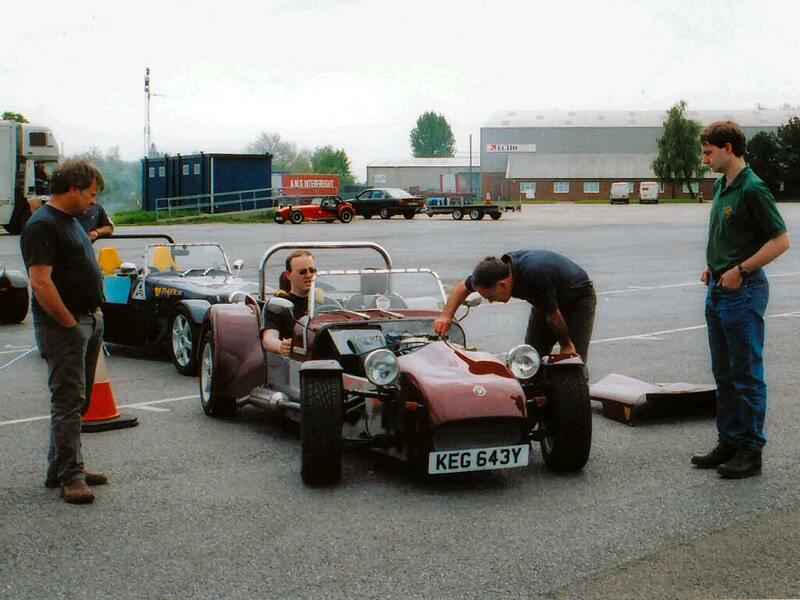 Well it is possible and the pictures below show Mick Grant's car with his carrying frame mounted to the back. 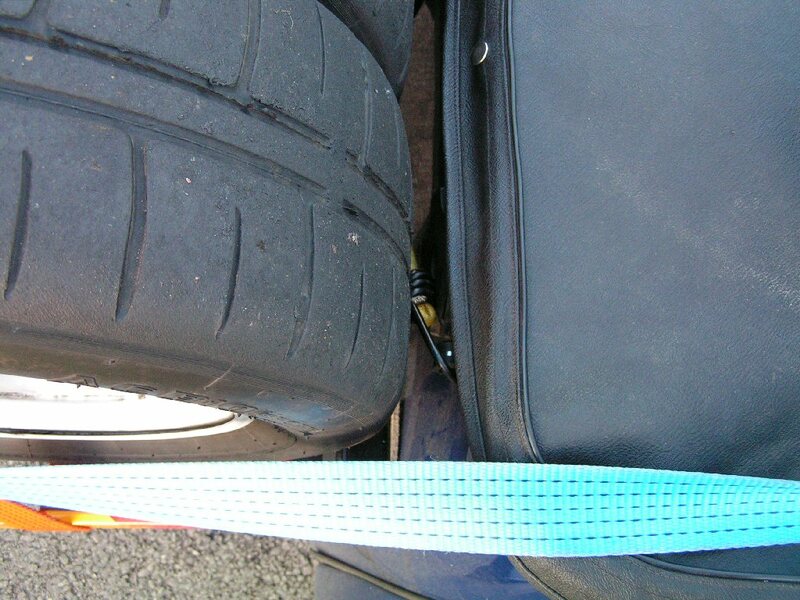 The only disadvantage can be seen in the shot from above the tyre, as somewhere in the gap there is a fuel filler cap. Mick does assure me he can do the journey from Watford to Curborough on less than a tank of fuel after spending the afternoon going round the track (the road journey is just over 100 miles) where as I would probably run out just before the M25, one advantage a Zetec has over a Pinto engine. However in the afternoon it all changed as we decided to do the long course, this entails turning after the finish line and going back again. It sounds easy but there is nothing you can use for a visual marker as to where the corner starts (you are heading downhill at the time). Due to this your speed over the finish line on the first lap has to be a lot slower so you can make the corner without visiting the hedges, the video with the two cars on it shows the long course, the one with my front wheel is the short course. If you watch the videos then you will notice the speed change between the laps. 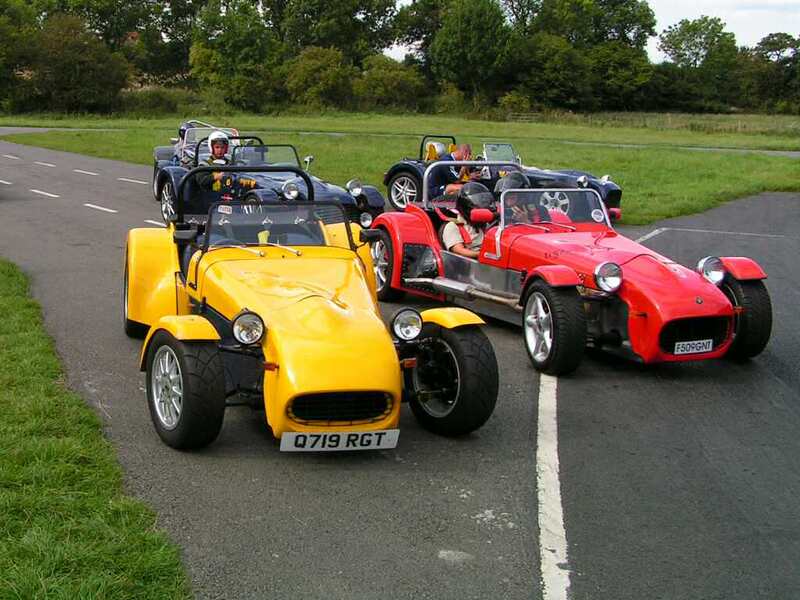 Finally after a good day, everyone made their way home with no incidents on track apart from a couple of spinners and having enjoyed themselves. Even better the rain held off for the day despite looking very black on several occasions. All that remains is to look forward to the days next year, although there may be some changes afoot, but we shall see. 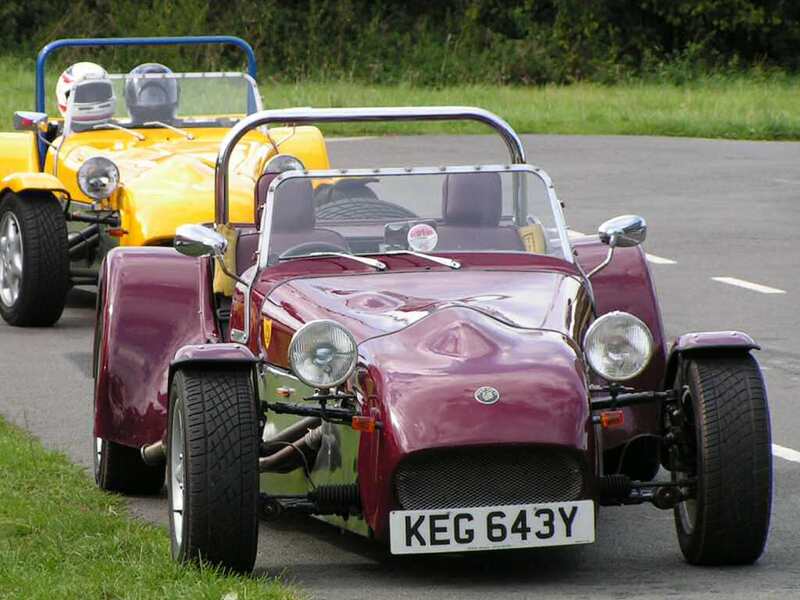 After the testing times at Upper Hayford, it was back to the more familiar location of Curborough for the next track day organised by Tiger Tales. The day started as usual with a very early start so that I could reach the circuit in time. However when passing through Market Harborough the car started making a very ominous sounding noise. It basically started knocking very loudly. At this point I had to stop and check out what was wrong, after a couple of minutes looking an old man wandered out from his house, heard the engine running and announced "That's a blown exhaust gasket". I was a bit sceptical but checked the exhaust headers, it turned out that one of the exhaust retaining studs had decided that it didn't want to be there anymore and had left the car. I quickly knocked up a fitting from a few spare parts and was soon on the way again, the rest of the journey passing without any more fuss. Once I had arrived, not the earliest and certainly not the last, we all got booked in and ready to start with the usual free practice and then timed runs to follow. The practice runs were all completed and then the timing started. Everyone got in a dry run with some good times being posted (I myself was 3.5 seconds quicker than back in April!). However the clouds looked very black and before the second batch could start the rain came down and the covers went up! We were lucky though as after about 10 minutes it stopped raining and a few minutes later the track started to dry out. There was a brief discussion and the decision was made to run a second timed lap for everyone, this was going to be fun as in places the track was dry and at other locations rather wet. In short all the grip had gone from the tarmac and the times were a lot slower with people taking about 6 seconds longer than on the dry run. Although the results did get slightly skewed as the track was drying whilst the runs were taking place. We then had to stop for lunch and whilst we were busy stuffing ourselves the sun nicely came out and dried the track for us. This meant in the afternoon we could start another set of timed runs in the dry. 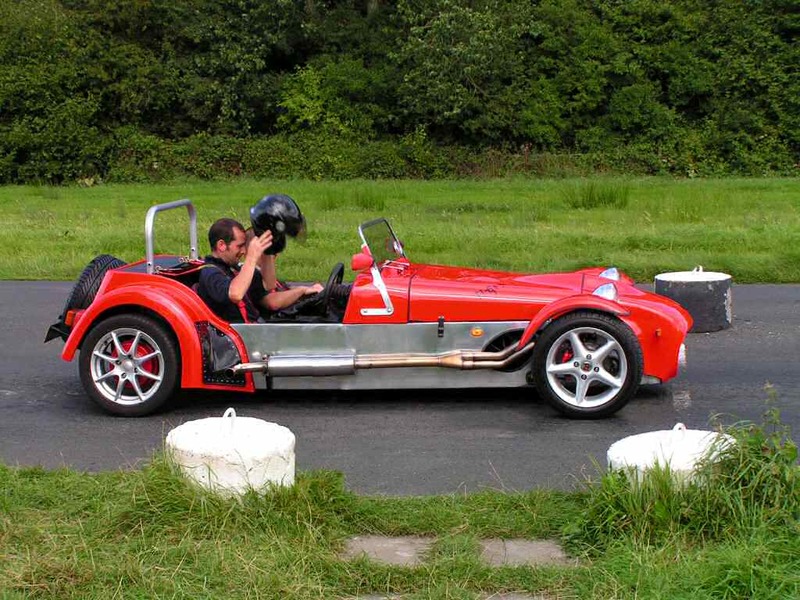 Now some interesting news, there weren't just Tigers competing, there was also a DAX Rush fitted with a Cosworth Turbo power plant producing 260bhp. It beat Stewart Fenton to the fastest time only by 11hundredths of a second but it still managed it! (Sorry Stewart but I had to mention it). It does appear that all the drivers are getting faster though as most of them posted sub-45 second lap times. We will soon be heading for the sub 35-second runs at this rate with the next target being the course record of 32.94s. 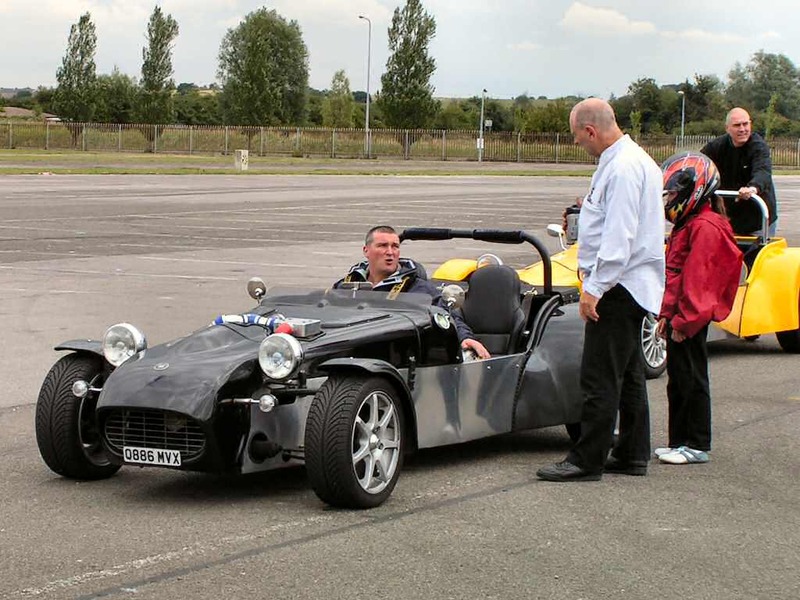 After the timed runs were completed the fun runs started, I accepted the offer of a lap with Mr Fenton, the problem with doing this is that as a passenger you have nothing to hold onto! 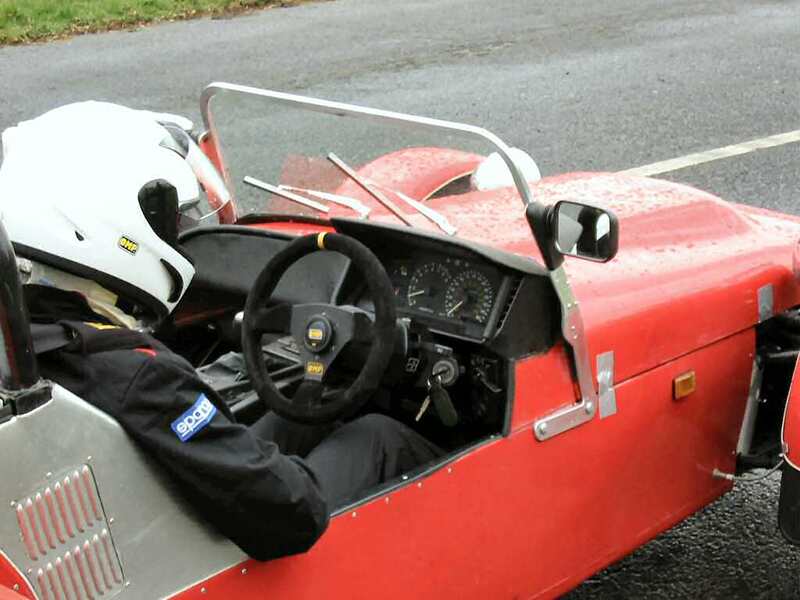 As you can imagine going round a corner at 80mph with very little protection can be slightly nerve racking, however I survived that and then got taken round in Mick Grant's car with Richard driving. Richard did his best to try and spin the car on the top loop but fortunately failed. The most telling part of the day was at the end when it was asked who wanted to come on the next event in October. There was a unanimous show of hands and the event was fully booked immediately. 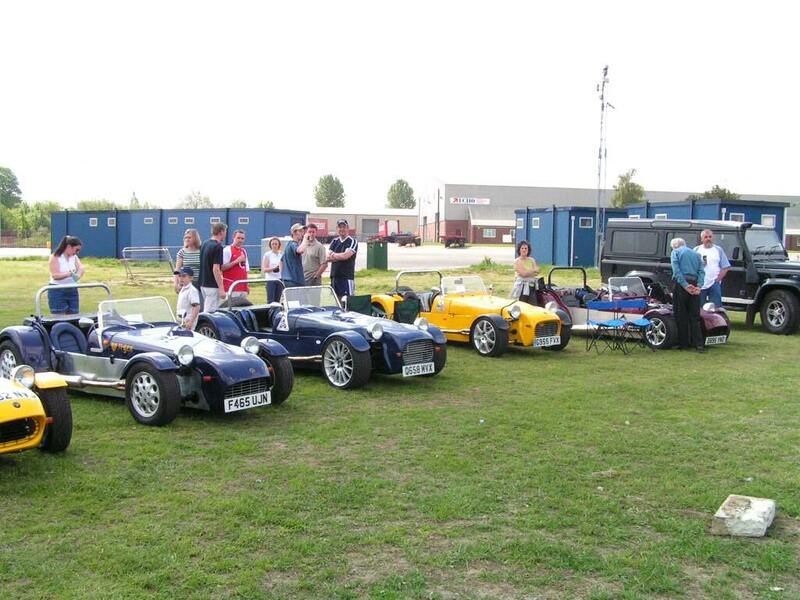 This was a bit different to the other track days that I have done in the past. Instead of driving around the circuit all day and using gallons of fuel! This time I was going to be actually taught how to drive better. If anyone reading this thinks that this wouldn't apply to them then think again. Anybody with a driving license will improve with extra tuition. 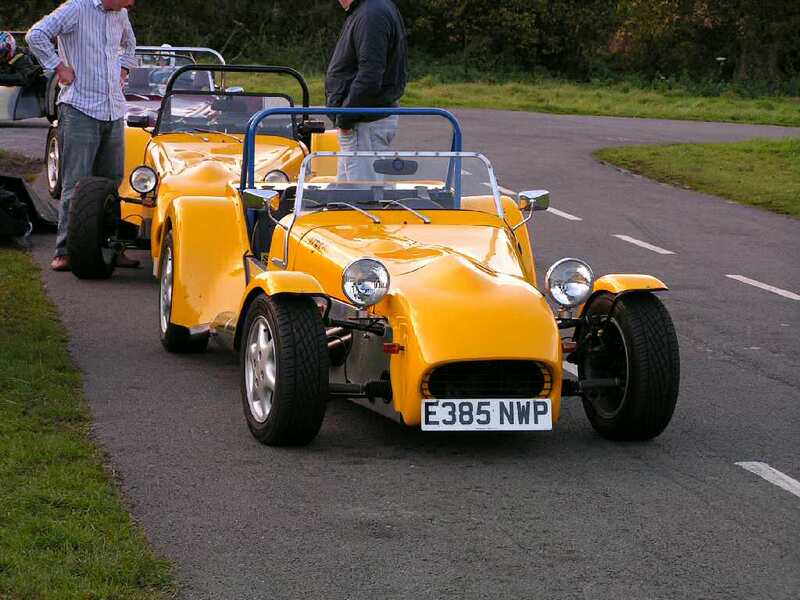 The day was organised by Motorsport Events www.motorsport-events.com and Which Kit Car bought a block of spaces, which it sold out to kit car owners. This cost a fairly reasonable £99 for the day although it didn't include any food. I wished I had known that before starting out in the morning. Once we had signed on and split into groups we were given the schedule, which consisted of five separate events. 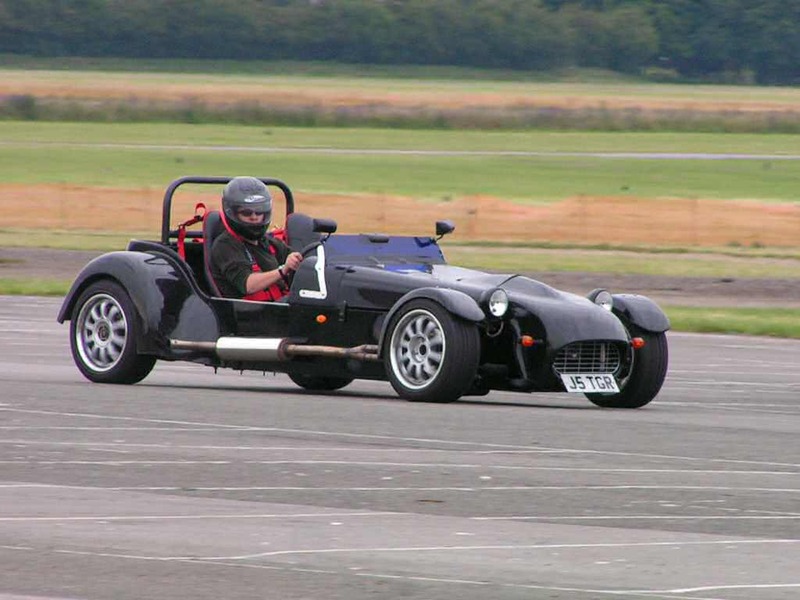 This consisted of driving around a set of cones as smoothly as possible and making sure your steering inputs are smooth. The only really competitive part of the day as you are up against the clock, I was very pleased with this as I went from a time of 55 seconds down to 41 seconds in a few runs. 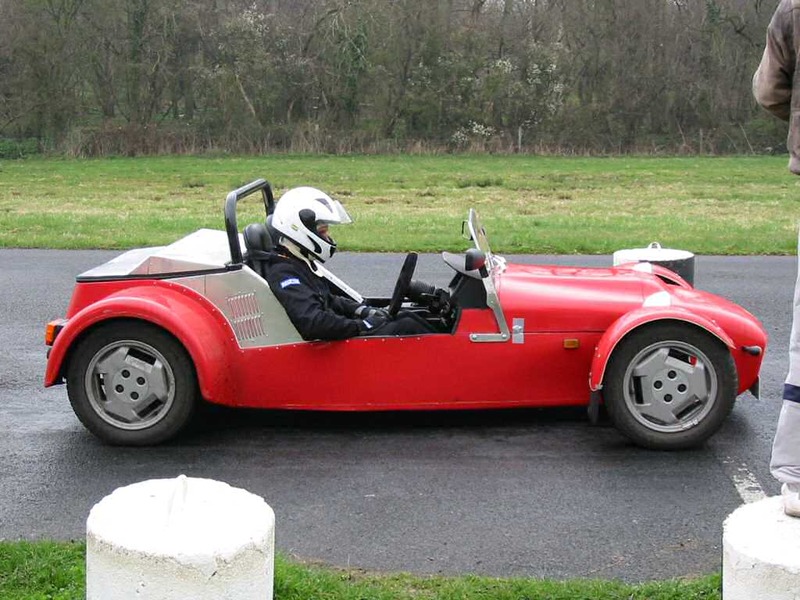 However I must remember when going through cones that the back of the car is wider than the front as I kept clipping cones with the inside rear wheel. This was how to cadence brake smoothly and enable you to turn when performing an emergency stop. 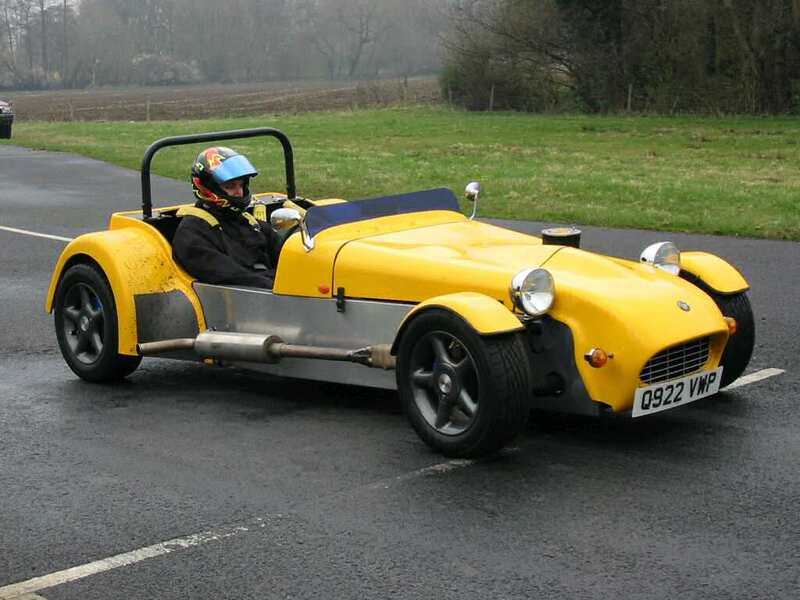 The really scary part of this was that in the group was a new Mini Cooper, this could stop with its ABS in about 2 car lengths less than the Tiger from the same speed! As it says weaving in and out of cones placed at variable distances apart, not as easy as it sounds. 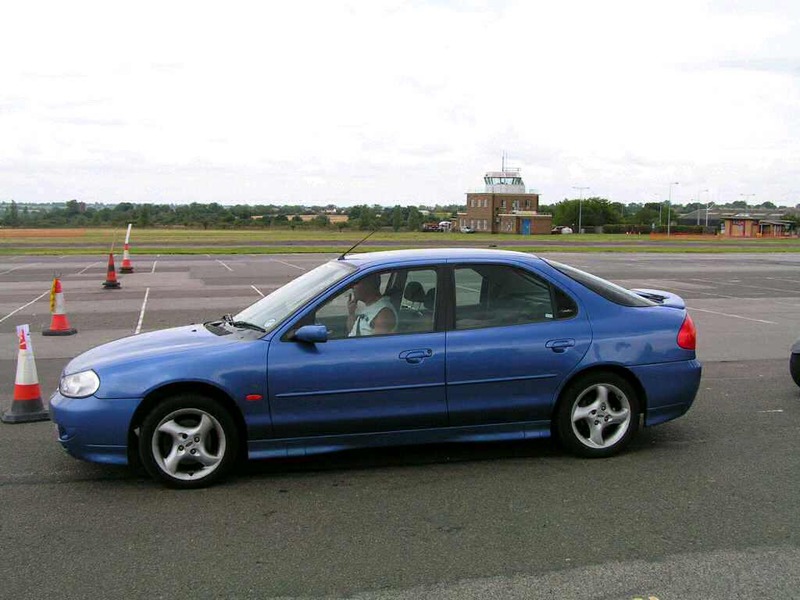 Once all the driving tests had been completed each group then had a brief (10 minute) track session before driving home. In this session the only damage of the day occurred when Mick Grant managed to put a dent into the side of the Mini, fortunately only the Mini was damaged and nobody was hurt. A very good day and one I would recommend doing when it comes back again next year. 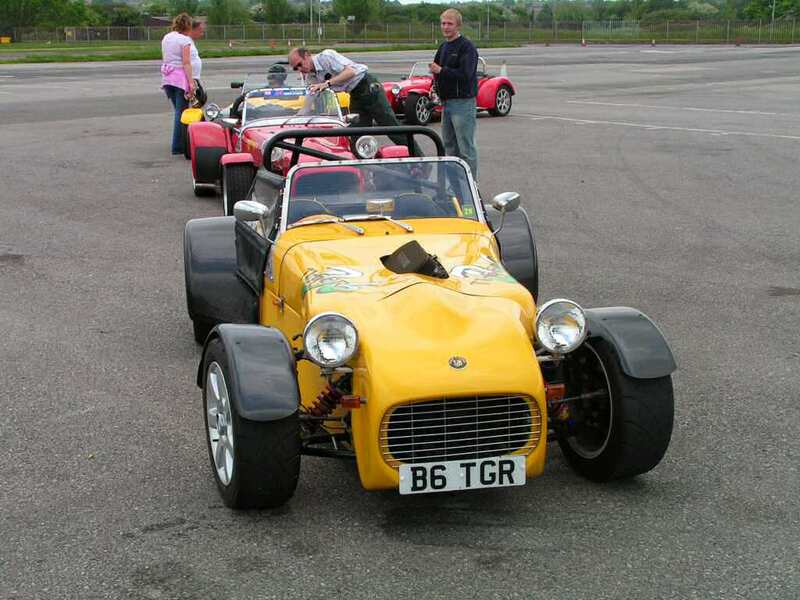 This trackday much like the last one involved a very early start to enable us to get down to the airfield nice and early so everything could be set out before the others all arrived. So with this in mind we (Wilkins, Piers and myself) all arrived within about 10 minutes of each other at around 7:30. Richard's six did have a problem but more of that later, we then went to collect the cones that were ordered along with a trailer. After asking about the cones and being greeted with a "that's news to me Guv" reply we persuaded them that they were ordered and they agreed to bring them over. Which they did at 8:45! They also delivered the cones on a pickup and just dropped them in a few locations before driving off; we then had to arrange the circuit. Not really very helpful was it.The problem with this was that drivers starting arriving whilst we were still setting the circuit out, so we didn't get started until about 9:45. However once everything got going the event virtually ran itself, as most people had been there before and knew the layout of the day and how everything should run. Fortunately there were no repeats of the last events track invasions by morons so everything ran smoothly. The more interesting activity occurred off track, as I mentioned earlier Richard Wilkins car had a strange problem, it was lacking in power and couldn't really rev to it's potential. One of the problems was down to an arcing coil HT lead, but numerous things were tried including dizzy cap and leads, replacement ECU, replacement coil etc. Speaking to him after the event he thinks the problem could be down to the wiring loom breaking up with age as he has had numerous electrical faults recently, so maybe a new wiring loom is on the cards. As his own car was sidelined I think he tried out just about everyone else's car instead. The bad luck of the day award has unfortunately got to go to Mick Grant. Mick arrived and did one practice run and then the throttle cable snapped. I helped him out and we changed the cable for a spare that Derek Smith was carrying. 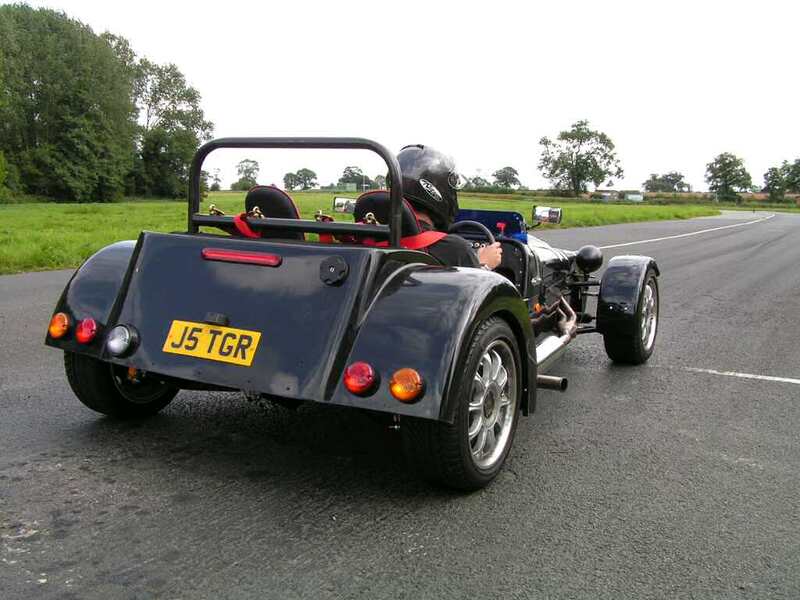 This one lasted for a single run before the accelerator pedal end snapped off. On my advice he got his "other half" to collect a bicycle cable from Halfords and bring that over, this finally got fitted and worked correctly. At that point we thought all was well, but later in the day as he finished a run something was rattling loose from under the back of the car, it turned out his fuel pump had fallen off. Luckily there weren't any sparks and the fuel lines remained intact. It was bolted back on in a couple of minutes. 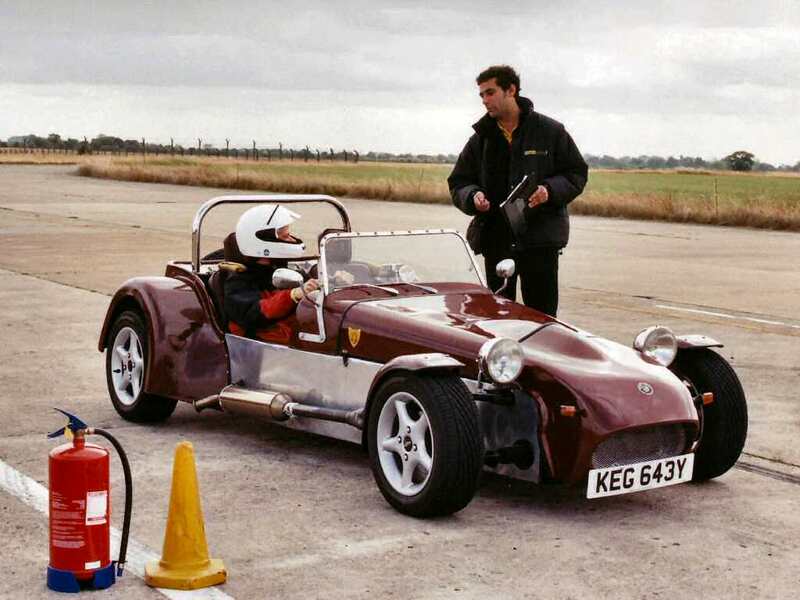 The only other breakdown was Brian Snelling's car, which broke its fuel pump, although he managed to buy a spare from Graham Marshman. 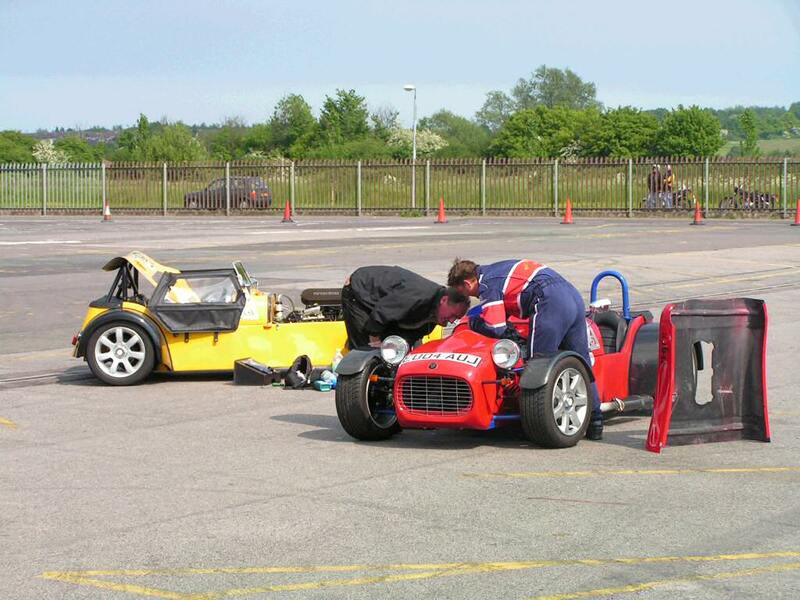 However in the cones stakes things were a bit more interesting, with two competitors taking cones out and bending bits of cars as well. Ceili Finch managed the best one as she hit a cone demolishing it and bending the nose on her dad's car back by two inches, the brackets took a little while to straighten out! In the meantime Derek Smith demolished a cone and took out a front indicator leaving just a little tiny stub on the nose. As to my own times that actually got better during the day as I was getting used to the new handling setup on the car and gaining the confidence to push it harder on each lap. As usual my best laps were posted when not being timed! 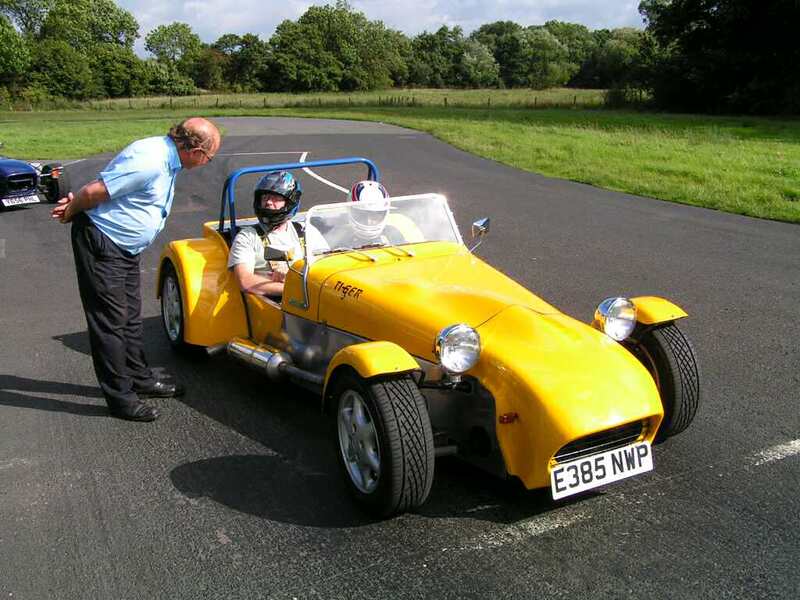 My Mum also was persuaded to take the Tiger round the circuit; although she did need an old blanked stuffed between her and the seat to enable her to operate the pedals. She really enjoyed it though. Finally we got the circuit cleared and I eventually made it home at 7:20 that night, certainly a good day especially as the weather stayed fine all day despite the huge black clouds that kept passing over! 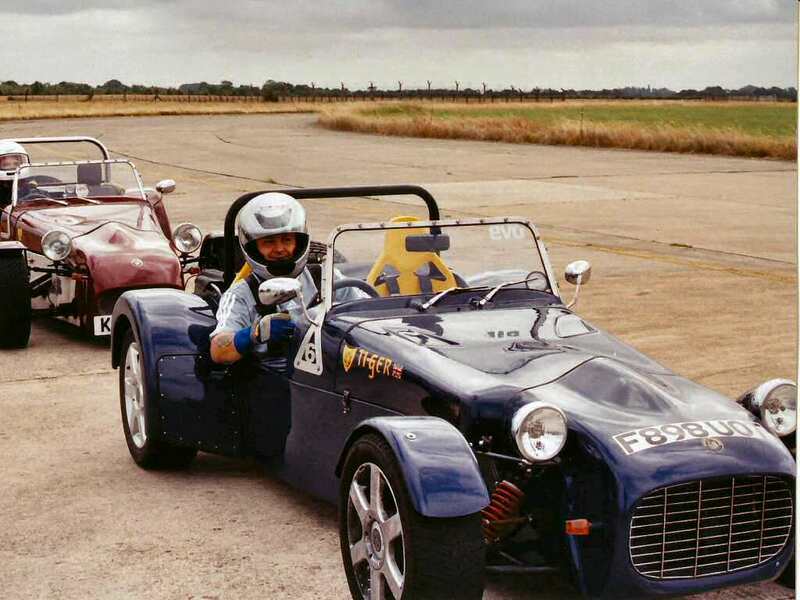 The second Tiger Tales organised track day of 2004 was held at North Weald Airfield in Essex. My day started very early as due to agreeing to help set out the circuit I needed to be there for 7:30AM, as Peterborough is about 1¼ hours from the circuit, this meant I was up and out of the house by 6:15 (on a SUNDAY!). However there was a big advantage to driving at this time in the morning; no traffic and it meant I could keep driving at a good 70mph average for the whole journey. 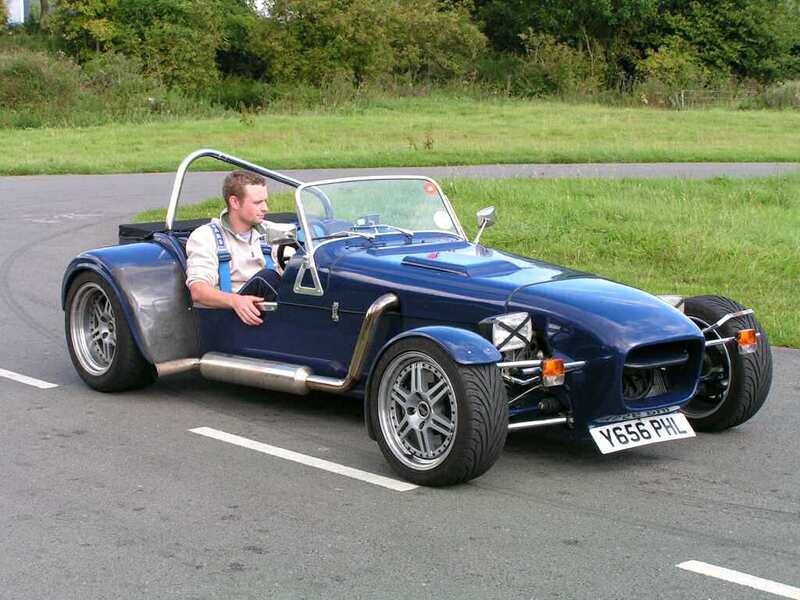 In fact from getting onto the A1 I didn't touch the brake pedal until exiting the M11. 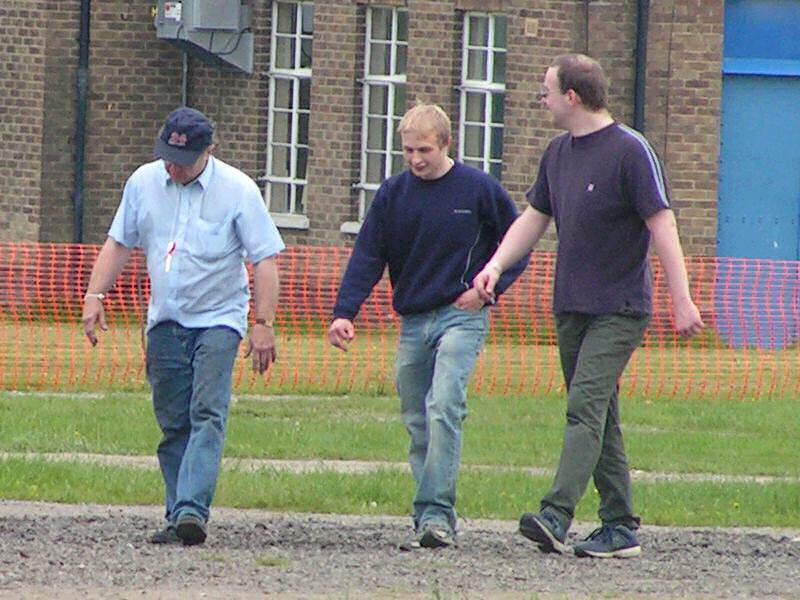 Once I arrived to find the other organisers already there (the Wilkins and my brother) it took a while before we could get hold of the cones to be laid out on the circuit. We needed Piers' BMW as it is the only car that has a tow hitch on the back for the trailer the cones are supplied on. After several corrections we came up with what looked like at the time a good layout for the circuit. Although annoyingly we had to clear the track of a lot of debris left over from the market the previous day, most of the rubbish was bits of broken pottery, which could easily wreck a tyre. 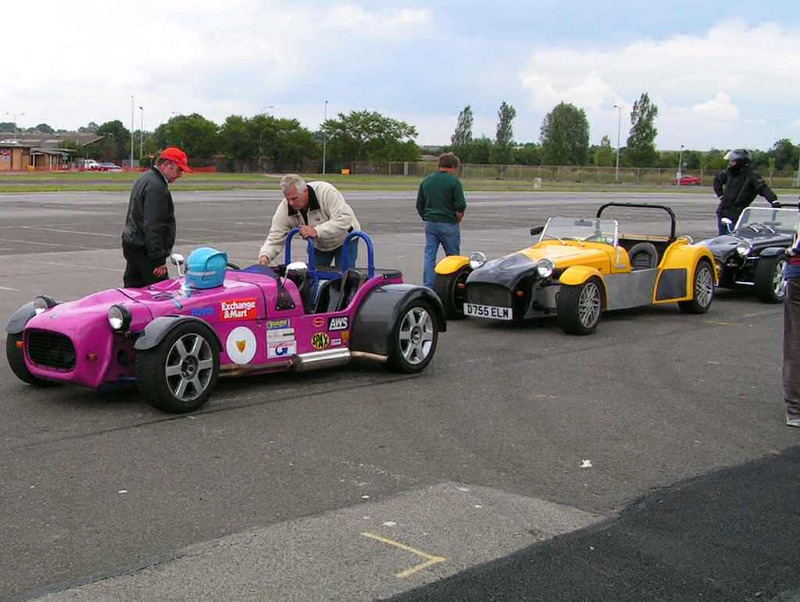 After a while the actual competitors started turning up and we eventually got the drivers signed up and ready to start by about 10AM. 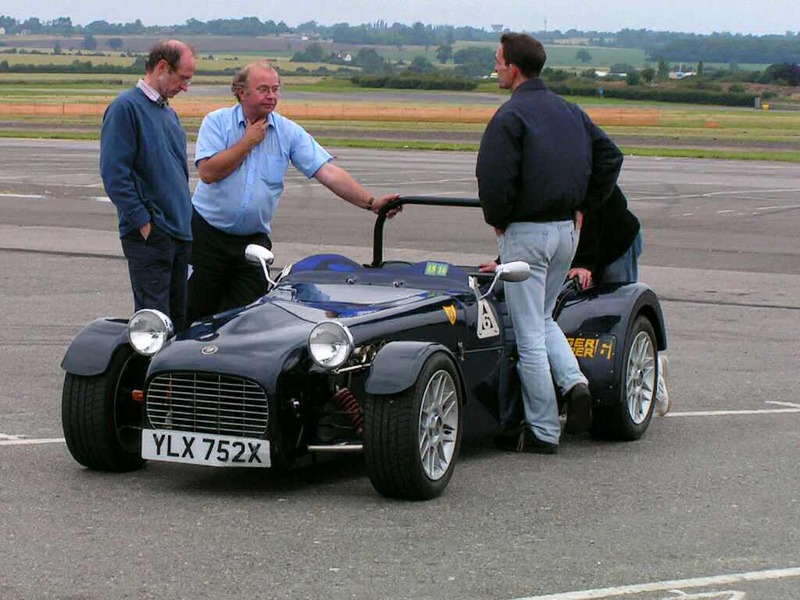 At this point we commenced the practise runs, now Piers had designed a chicane for the last length of the circuit, however the other drivers complained that it was too hard to work out the correct route, so much to his annoyance the chicane was removed! We did however have a couple of problems, on the other half of the circuit there is a drag strip, this was being used at the same time. However a couple of morons (you know the type 1ltr Saxo 17" wheels and a stereo with more power than the engine) broke through the bottom gate and came into our section, one of them seemed to take delight in aiming her car at one of the tigers on the straight, fortunately he was apprehended and the police called. 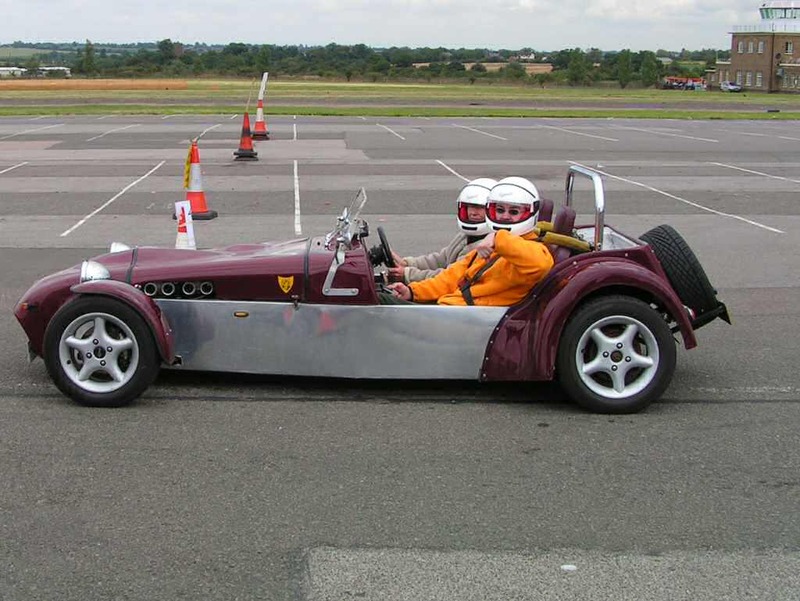 When this happened for the second or third time, Richard W put a complaint into the organisers for not policing the circuit properly while muttering things about why did he have to do risk assessments when they couldn't keep the gates shut etc. Unfortunately every time one of these broke through it resulted in a 10 minutes or so stoppage as we needed to make sure it was safe to proceed again. Everybody got one timed run in before we broke for lunch, however when I went out for the timed run the fuel pump stalled as I left the start line immobilising the car, this was soon reset by the use of Tiger Tool number 1 (big hammer) and it was running fine again, although the carbs are way out of balance and it really needs a good retune to get the engine back on power again (since then I have partially retuned it but it needs a rolling road to sort it out properly). The second timed runs were performed and then it was over to free runs for whoever wanted them, at this point Piers decided that it would be a good idea to take my Mum for a spin, so she was strapped in after borrowing my helmet and taken out, unfortunately he overcooked it coming out of the long straight and almost completely spun it, at the time I was using my new camera in movie mode to record the run and just after he recovered from the spin the batteries failed so I missed the last ten or so seconds.. Finally at the end of the day all people starting drifting away from the track until only a few were left when we finally cleared the track of cones at about 6pm and then I made the long haul home again. Definitely a good day, and if it hadn't been for those idiots breaking through it would have been a lot better. Well, after 5 days of unbroken sunshine before hand, guess what happened to the weather on April 1st, it rained. The day started off fairly well, as both Piers and I left Peterborough just after a cloudburst had threatened to ruin the day. The route is well travelled by now and we were soon heading out towards the M1 and then on to Lichfield. 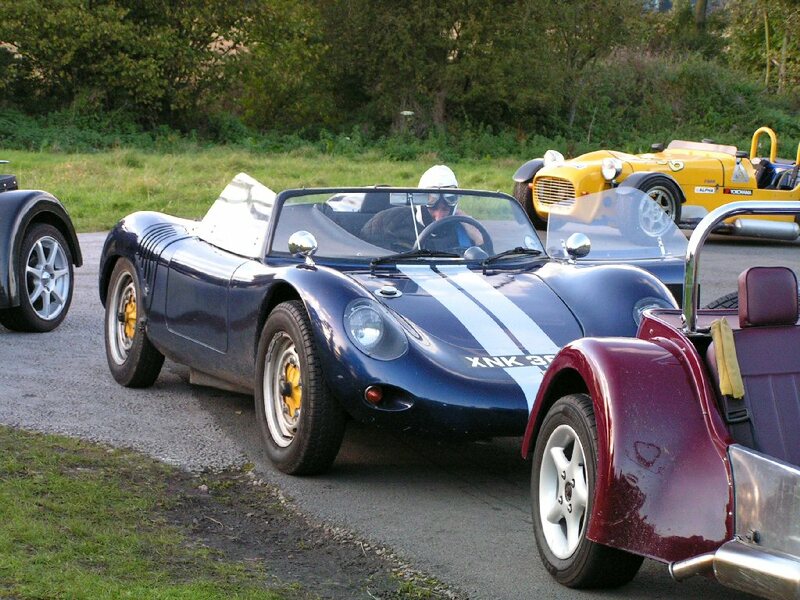 We did have a couple of small hitches though as the car tripped out one of the fuses when standing in a queue of traffic, it just happened to be the one running the Emerald. This promptly immobilised the car, fortunately I had recently replaced all the fuses with circuit breakers so a few minutes investigation and we were back on the road again with just the lost time to catch up. Upon arrival the usual suspects had arrived, in case you didn't realise there is a committed bunch of us who turn up to all the events that are organised, including myself, the Wilkins (as event organisers they ought to be there), Derek Smith, Lou Watts, Brian Snelling and Mick Grant all with their usual co-drivers. 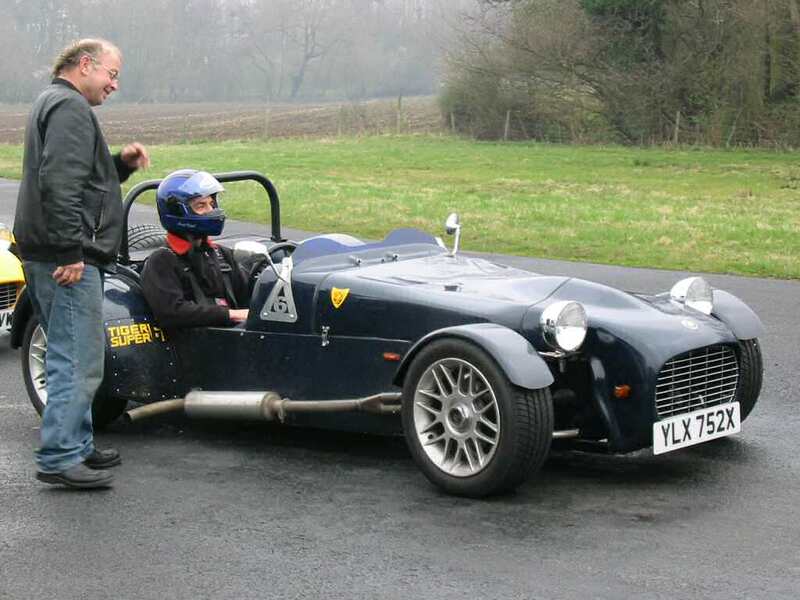 However the Wilkins Six was sidelined with an expired MOT so they both ended up driving my Cat instead. Due to changes in the regulations (read complaints from people who bought a house next to a race track and then complain about the noise) we can now only run 10 cars per day and only between the hours of 9AM-1PM and 2PM-5PM. 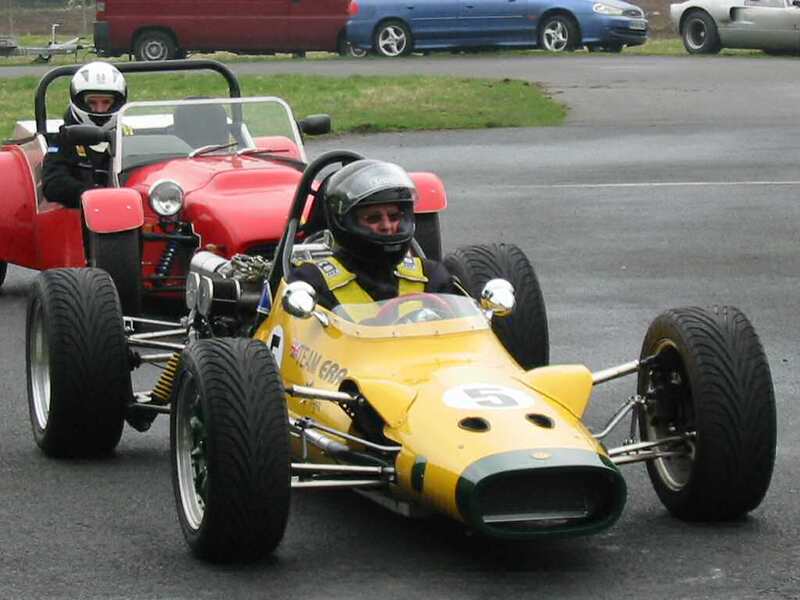 The morning started out with a damp track and a few "interesting" lines taken round the course. Just before lunch and with an ever-darkening sky a decision was taken to do a set of timed runs before the enforced stop at 1pm. These runs were just completed at about 12:45 and as the last car ended its run, the heavens opened and the rain just fell down with everyone's hoods or other covers going up quickly. At this point things did not look good for the afternoon. Whilst this was happening a small van had arrived with an oven inside (really! ), this was for the on-site caterers to install into a food hut, however their gas fitter hadn't arrived so we all helped get the oven into the hut and made sure that Richard got hold of the caterers card so we can have food laid on the next time we go up there. After that small diversion it was off to the local petrol station to stock up on cold sandwiches! The caterer's menu would have included bacon rolls, unlimited hot drinks, hot lunch and an afternoon tea for about £12 per head. In comparison the cold sandwiches cost us a fiver each. At 2pm things got underway slowly, this was because the starting run on the track was under about a ¼ inch of water, everyone was taking it carefully after a couple of spinners had ended up trying for a ploughing prize. We then had a bit of good fortune as the clouds blew over and the sun came out. Amazingly by 3:30 the track was bone dry and starting to warm up so giving us some much needed grip for the tyres. With the dry track another set of timed runs could be made, although by then a few people had gone home probably convinced the track wasn't going to dry out. The average speed increase from wet to dry was around 6 seconds. After the second set of runs we then had the opportunity to spend some time doing free runs around the dry track and hoping the return trip in August will be a little bit drier. Other things of interest; there were some unusual cars at the day, first of all Lou Watts has sold his Super Six and now owns an ERA which he was going mad in, and then there was the most unique Tiger I have ever seen, owned by Bill Sayer it consists of an Avon chassis mated to the back end of a Mk1 Toyota MR2, this bizarre creation even goes so far as to have the instrument panel and centre console from the donor car. A truly strange machine as can be seen in the pictures below. Normally at these events we add up the two times logged and work out prize placings on an average time. Due to the weather and the fact that not everybody completed two runs, certificates were awarded stating drivers wet and dry times instead.